I need those leggings but they don't have them in my store, I guess I'll have to look online! I love your leggings. They're really awesome! Amazing Outfit, I love teh leggins. galaxy leggings are pretty much the best thing since sliced bread! Love.Love.Love. This whole outfit but the legging look so unique! 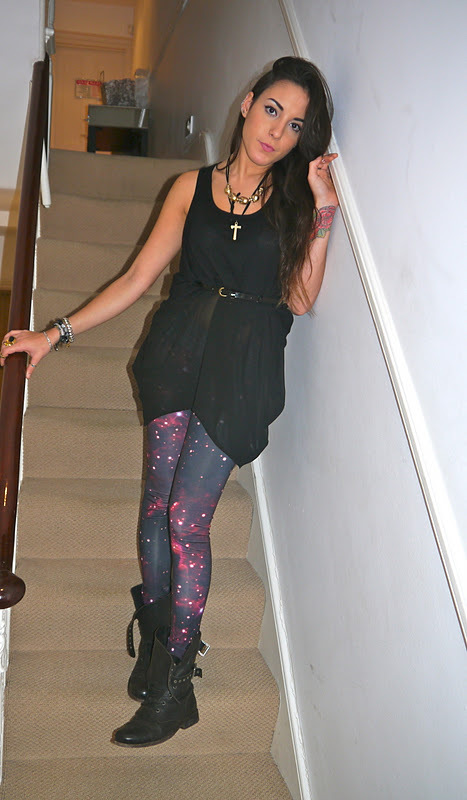 love this outfit especially the cosmic leggings. OK, LOVE the leggings! I hate that they don't have a topshop out here in the states!